Apple’s iPhone muse and general know-it-all, Siri made a guest appearance at the recent 2014 White and Williams Coverage College in Philadelphia. Name partner Gale White opened the proceedings with a dialogue with Apple’s Siri, who quickly informed the audience that the eighth annual event had over 530 registrants from 22 states. 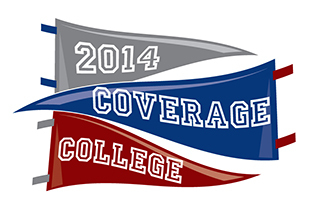 For the third straight year, I attended the recent White and Williams Coverage College on October 2nd at the Pennsylvania convention Center in downtown Philadelphia. If you get a chance to go, I strongly recommend that you grab it! Who’s gonna’ reserve coverage rights? Who’s gonna’ make your claim DENIED? Again, if you get a chance to attend White and Williams’ event, take advantage of it. Since virtually all of the presenters are from the firm, one might think that the program has an inbred quality to it. However, the firm now is so far-flung and with such a deep bench of talent in the insurance coverage area, that a diversity of perspectives is locked in and guaranteed. The other caveat: each session is 45 minutes long. So, presenters sometimes struggle to adequately cover the topic within that time constraint. No time is given over to Q&A and audience interaction, which are hallmarks of superb breakout sessions. These are, however, minor quibbles on a first-class event packed with substantive content that should catch the attention and close study of any insurance claim professional. This approach of the 2015 Coverage College could lend a whole new meaning to the term CGL, with the development of a Cannabis Growers Liability policy. One would expect a special joint session covering both first- and third-party exposures. In any event, the audience appeared to be buzzed by this ground-breaking topic. Would marijuana risks be addressed by existing CGL policies? Stay tuned for further commentary from White and Williams, as Siri does not have the answer to that question.